The words exciting and Volvo are often not used in the same sentence. However, in this instance, it is appropriate. You may have seen the latest Volvo advert staring the Swedish DJ/Producer Avicii and the brand new XC90. With on the road prices starting at £45,750 for the diesel momentum up to the hybrid inscription of £63,705. This car is pitted against rivals such as the new BMW X5, the base Range Rover Sport and the new Audi Q7. 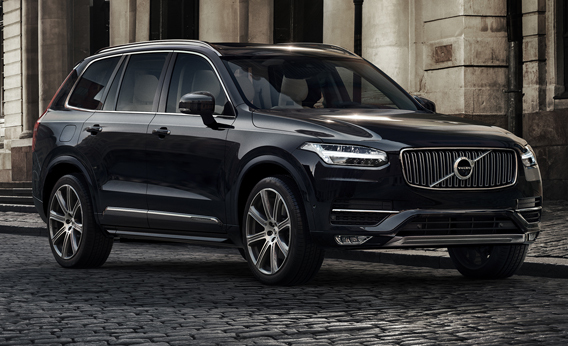 We managed to spec the XC90 Hybrid Inscription with all the latest gadgets up to an on-the-road price of £72,225. The new XC90 is one of the first 4x4’s to contain a Wi-Fi hotspot to keep the driver and car connected however this is the most expensive option on the list. It can also come with a £250 option called CarPlay which fully integrates your iPhone with the car. To ensure a good resale value I would definitely advise you to go with the bigger wheels and the essential options such as the winter pack and anything on top of that is a bonus.